We're happy to service your event, no matter what it is! Don't let your wedding day get ruined by lackluster transportation. We have years of experience in providing transportation to wedding ceremonies, receptions, and pictures, and we know how to pull it off without any problems. You should enjoy your day of marriage, with us you will be worry free. You will have plenty of room to move around and be comfortable and our vehicles have air conditioning. Take a party bus out bar hopping or to your destination of choice, and you'll see exactly why so many people love to use our vehicles for their night out in Raleigh. 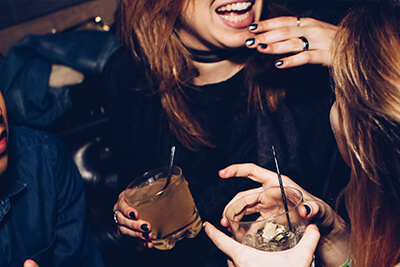 Forget about designated drivers and rent a Raleigh party bus so every person in your group can enjoy their night and you can arrive home safely. We can also recommend any bars in the area if you are unsure of what nightclub is the best. There's much to see and do in Raleigh and the surrounding tristate area. So much, in fact, that you might be wondering about how to get around. With a luxury vehicle, everything that is sweet about Raleigh will seem even sweeter. We have been in the business for many years so we can consult with you about possible events. We have helped thousands of clients visiting the area over the years. Our Fleet of Vehicles is fantastic! Be sure to check out our events page for a further detailed list! Known as the "City of Oaks", Raleigh, North Carolina is a great college town that's home to many different cultures, historic sites, performing arts, and endless opportunities for fun. 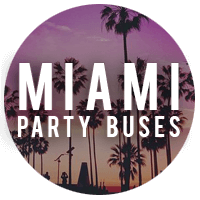 Raleigh Party Buses has been the top choice for luxury transportation in the area for years now, and that can be owed to our attention to customer service, courteous policies, and affordable pricing. With such a great track record, there's no reason why you'd want to take a chance with any other company! Our vehicles are the best in the area, safe as can be, and filled with every feature you could possibly dream of. 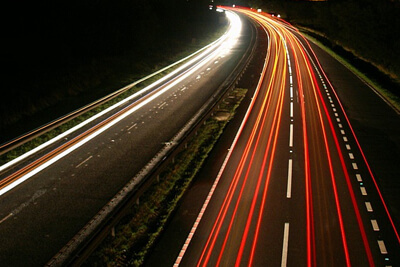 Our vehicles add convenience to your night that's unheard of! 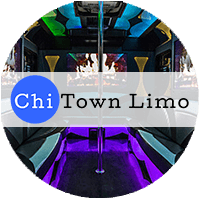 What other vehicle comes with easy to use bar areas, convenient televisions with DVD inputs, professional audio systems with iPod capabilities, hardwood flooring for dancing, and stripper poles? It's safe to say that a party bus will undoubtedly bring a celebration that you won't soon forget. Not to mention, when you rent with us, you're ensuring that all of your friends get home safely without driving under the influence! A professional chauffeur will take care of all of the worries of the road while you have a great time. 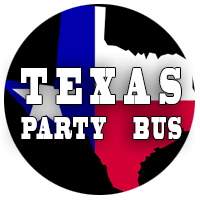 If you're ready to book party bus, give us a call! 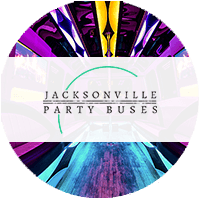 We will be more than happy to do everything in our power to go above and beyond for you and to make your party bus experience an amazing one. We look forward to working with you for all of the important events in your life. 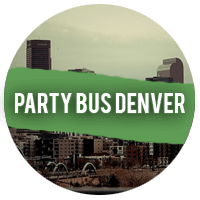 Why choose Raleigh Party Buses? Your happiness is of the utmost importance, we work hard for you and it shows with our customer service! Everything you're looking for is guaranteed to be on board our feature filled party buses in Raleigh. Our party buses well maintained by our mechanics, and only the best drivers in Raleigh behind the wheel. Living in a great area like this, comes great responsibility to deliver only the finest of goods and services to clientèle. In this regard, you'll find that we take care to provide you the best of the best to you, quite seriously. All in all, what does this mean to you? If you're in the market for a great transportation you can count on us to have the very finest selection of vehicles to choose from, with matching levels of quality provided in our client services. From top to bottom, you'll see that we are an industry leader in delivering the finest experience and product to our clients. Which is why so many of our customers are return customers, we are proud of that fact, a returning client is a happy client. Just ask anyone who has done business with us; or, see for yourself! All it takes is a quick and simple phone call, we offer free quotes with no strings attached, our wonderful booking specialists will walk you through the process to help match you with the perfect vehicle for your next outing and based on the information you have given they will be able to give you a custom quote for your particular needs. From there you can go ahead and book there on the spot or take your quote and think it over. When you call back to officially reserve your vehicle we will be able to pick up right where you left off in the booking process. We do this to make it as easy on you as we can. We look forward to working with you to take care of all of your luxury transportation needs. No matter the occasion that you find yourself celebrating, be it a huge life event or just bar hopping, we are here to provide you with world class VIP service.